SANFORD, FL - In honor of National Trauma Survivors Day on May 18, Central Florida Regional Hospital hosted an event to celebrate its patients who were given another chance at life. At the event, trauma survivors released more than 400 butterflies to represent each life saved in the hospital's trauma center this past year. The survivors took turns sharing their personal stories. Trauma is the leading cause of death among Floridians under age 44, and Florida's death rate for trauma remains higher than the national average. Central Florida Regional Hospital was designated a Provisional Level II Trauma Center on May 1, 2015. Previously, trauma patients in Seminole and West Volusia counties were transported more than 25 miles to the nearest trauma center. 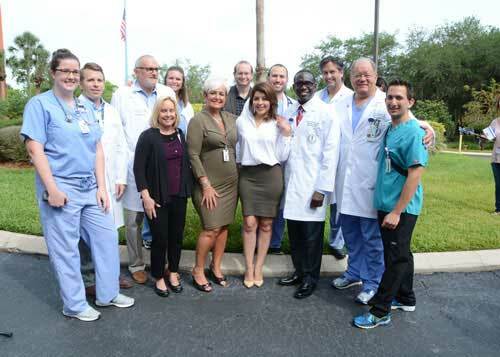 "Timely trauma care is critical to saving lives, and Central Florida Regional Hospital is honored to have treated more than 400 trauma patients in our community this past year," said Wendy Brandon, CEO of Central Florida Regional Hospital. "We are immensely proud of our dedicated medical team and these courageous survivors."